Today, every business aims to be on the first position on the search engine result page. The strategy used for that is SEO but we have discovered one more thing which can increase your visibility. Google My Business is a great Local SEO strategy. The above mentioned aim of the business can be achieved with the help of Google My Business. Local results appear for the people who search for businesses and places near their location. With the help of Google My Business your business can be spotted on the maps. It gives visibility to your business locally. Qualifying local business can help you claim free listing on Google. Google My Business is a free and easy-to-use tool for businesses and organizations to manage their online presence across Google, including Search and Maps. By verifying and editing your business information, you can both help customers find you and tell them the story of your business. It is a user friendly tool. Google My Business indexes the content you provide for consistency across Google search. Maps. Google My Business is incredibly important due to the factor that it levels up your online presence. If you search on a mobile device you will see that there are only the top three Google local results being shown – so due to the on-page, Google local can take up, there’s huge traffic opportunities for being listed for competitive searches. Without Google My Business it won’t be appearing on Google Maps. It is easy and very simple to get started with Google My Business. What you have to do is create an account and claim your business. After filling in the details you will get a sms or a phone call for verification. Once the verification procedure is completed you can fill in the remaining details and proceed further. You even get regular insights of clicks and impressions. Firstly, claim your listing. 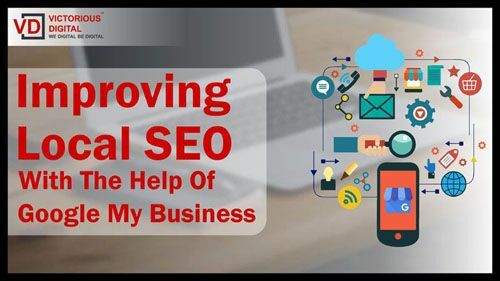 After that use the following tips to be successful in local SEO. Make sure the information is accurate. Inaccurate data can destroy your listing. ● Make sure all the details are up to date. ● Cross check all the information. ● Check if anyone has made an edit. ● Be specific in choosing a category. ● Adding more information will help you boost click through rate. ● Create citations with other sites. ● Make sure you haven’t violated any policies. Now a days people make their first impression regarding a business based on the images you upload. So, make a wise choice while uploading pictures. You can make it even more interactive by using the virtual tour option. This is very helpful for businesses. You can also use street view on maps. You can link your business with Google +. This will help you interact with your customers. You can use Google+ to constantly update your customers on your business, like product promos, company announcements, events, inquiries, and other relevant news. Be it good or bad reviews are always helpful. Reviews is a way that helps your customers get their concerns straight to you, which is why it is important to respond back. Respond to your reviews in a calm and rational way. Make use of customer survey results. With the help of insights, you can know from where your customers are coming and what they are looking for. You can also find out how many of them access through your website. This is important data for your SEO strategy as you can instantly see how well you are doing, and see what new strategies and techniques you can use as well. Prominence refers to how well known your business is. It is necessary that your business should be prominent online and offline. It is based on the information about a business which Google has. It is somewhat hard to determine what prominence means exactly, but one thing is sure: no one likes dead profiles. You have to keep it updated with new photos and manage your reviews. As said before, this works in tandem with your site, so make sure both listings align and that you publish local content.